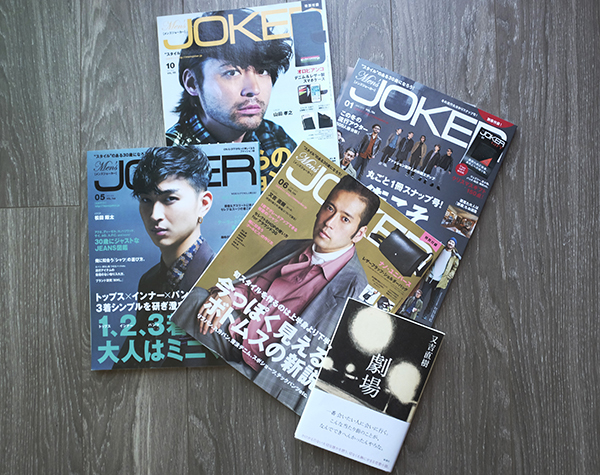 These past a few years,I’ve been writing men’s beauty column for Japanese men’s fashion magazine. Even after my moving to the States, pages are suppose to keep continue as it is. (deeply appreciated to my Editor Ms.N!) But, issues of July would be the my last one. So many memories are round and round in my head. I was looking through them the other night, then I thought,I love making books. You get to know what is the Akutagawa Prize here. 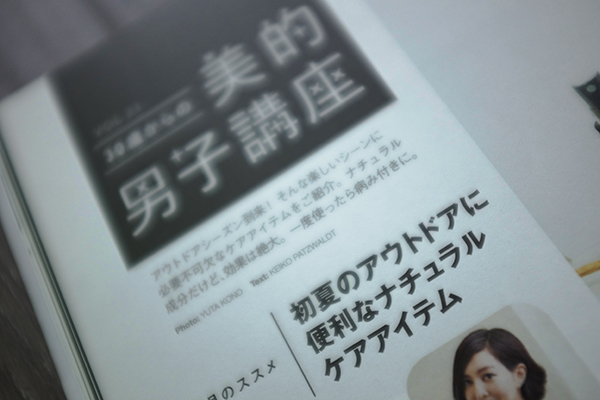 <The Akutagawa Prize (芥川龍之介賞 Akutagawa Ryūnosuke Shō) is a Japanese literary award presented semi-annually. It was established in 1935 by Kan Kikuchi, then-editor of Bungeishunjū magazine, in memory of author Ryūnosuke Akutagawa. It is currently sponsored by the Society for the Promotion of Japanese Literature, and is awarded in January (‘E’ in the list, below) and July (‘L’ in the list below) to the best serious literary story published in a newspaper or magazine by a new or rising author. I wanna say thank you for editors, readers, and basically everyone for let me write. I can’ thank enough.